Check your 1997 - 2006 Jeep TJ Wrangler. 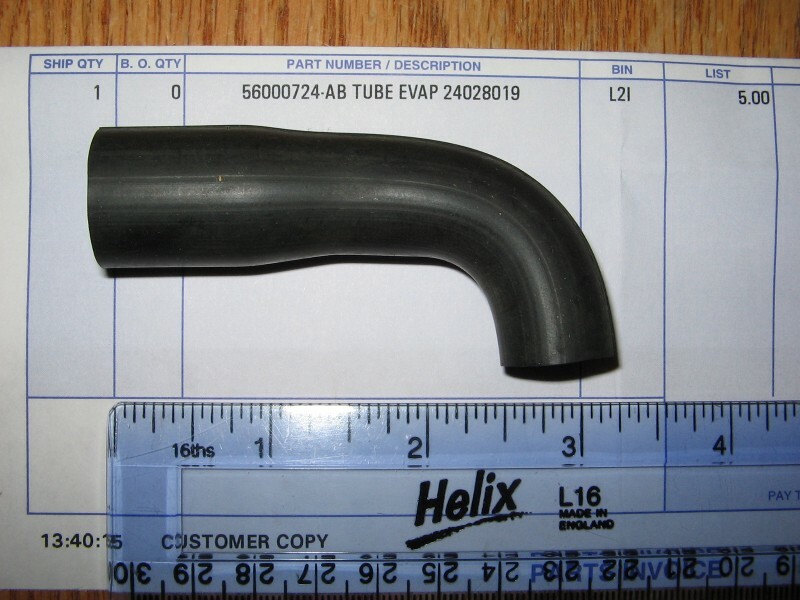 On some, especially years '03 and earlier, the seal around the factory evaporator drain tube leaks, and this extension tube is NOT present. At highway speeds the splashing water leaks back into the passenger floor from this leaky seal. A quick and easy fix is this drain tube extension available from your local Jeep dealer. Your Jeep dealer has a TSB out on this. First, locate your air-conditioner evaporator drain tube and make sure it's not plugged. It sticks out of the firewall near and just below the battery. See the photos above. Then slide this extension tube onto the factory drain. It is a tight fit, but you can zip-tie it if you desire. Now no more leaks into the passenger compartment floor. Part # 56000724ab applies to 2001 and older TJs. Part # 55037651aa applies to 2002 and newer TJ and Liberty. Check with your Jeep Dealer to be sure of the correct part number. Any modifications or repairs on this website are suggestions only. They may or may not meet federal, state or local laws, and may or may not meet applicable safety standards. Any modifications or repairs are the responsibility of the user only. I assume no liability for your use of any material, suggestions, or modifications contained within this website.